The canvas shoes feature a pig leather insole with memory foam underneath, perfect for those wanting to step forward in stylish comfort for $60 or less. Mr Arnett, the junior national record holder in the 400 meter hurdle, knows a thing or two about the perfect stride. The athlete’s running gait won him two scholarships, the second to Mississippi State University where he obtained a Bachelor’s Degree in marketing management. Now, Mr Arnett is looking to score with his new shoe line. 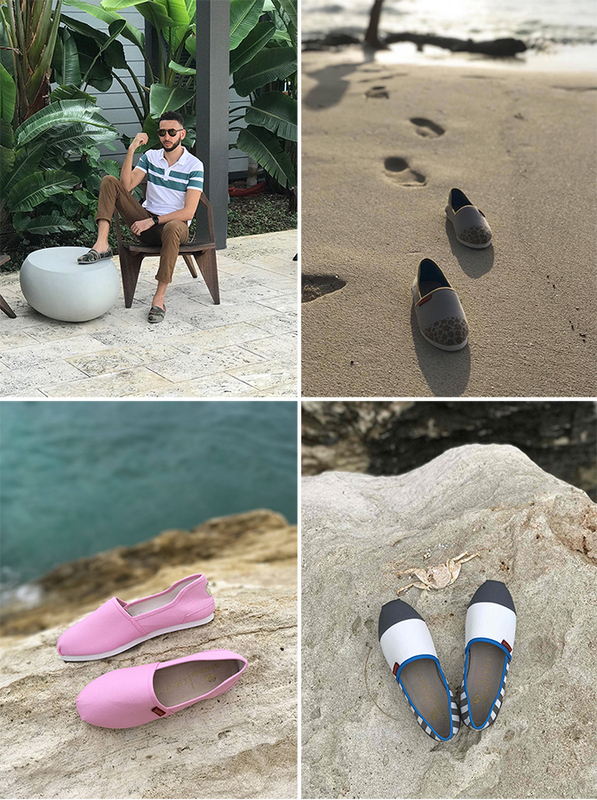 At The Island House Christmas event, Bahems will unveil five of the brand’s eight shoes – Unity One, Inspire, Hibiscus, Briland Pink Sands and Royal Camo. Other designs will be revealed in 2018. Sizes range from six to eleven for women and from sizes seven to thirteen for men. Although presently manufactured abroad, Mr Arnett is working to have the durable, waterproof footwear made locally. “Presently buyers can order online and we’ll deliver to them. The ultimate goal, however, is to grow from a local business to an international brand. Our launch this Saturday moves us one step closer to that reality,” he said. The Christmas sales event will run from noon to 6pm at the boutique hotel on Mahogany Hill out west.